Send a friend or family member nuggets of love. 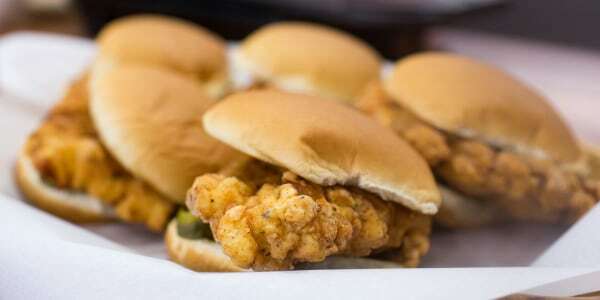 This Valentine’s Day, Chick-fil-A wants chicken lovers to fall in love — with limited-edition boxes of fried chicken bites. 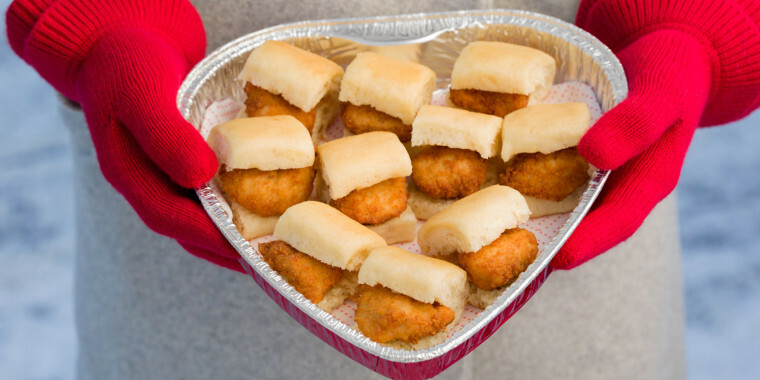 America’s favorite fast food restaurant wants fans to forget about chocolates and choose a heart-shaped tray of its famous chicken nuggets (or mini sandwiches) instead. The seasonal offering, which launched earlier this month and continues through Feb. 14, claims that candy hearts are “so last year.” With the lack of Sweethearts on store shelves in 2019, the chicken chain might be right! “If you’re looking for something unique for that special someone in your life,” the Chick-fil-A promotion teases, “swing by a participating Chick-fil-A to pick up a 30-count Chick-fil-A Nuggets or 10-count Chick-n-Minis in a heart-shaped container.” The chain's regular 30-count chicken nuggets sell for $17.69 but prices for the heart tin may vary by location. According to the chain, a belly stuffed with chicken nuggets fills the heart with joy. And Twitter users everywhere are eating up the new idea. The chicken-fried gift definitely has Valentine’s Day celebrators thinking outside the chocolate box. And if your sweetie is craving something sweet, some participating Chick-fil-A stores are even stuffing the heart-shaped trays with up to 12 chocolate chip cookies. In addition to the heart-shaped savory offering, Chick-fil-A suggested a few other ways to give your February a little more love. From performing a “random act of kindness” to “breakfast in bed,” the chicken brand wants you to “treat yourself” and others to more chicken and more self care, too.